Teachers voted on a tentative agreement Tuesday afternoon. If approved, the strike could end Wednesday. After 30 years, a historical moment hits the heart of education and a strike lasting longer than six school days impacts not only the teachers but students and families as well. The LAUSD school district is second to New York as the largest school district in America and having such a large union take matters into their own hands is something to notice. 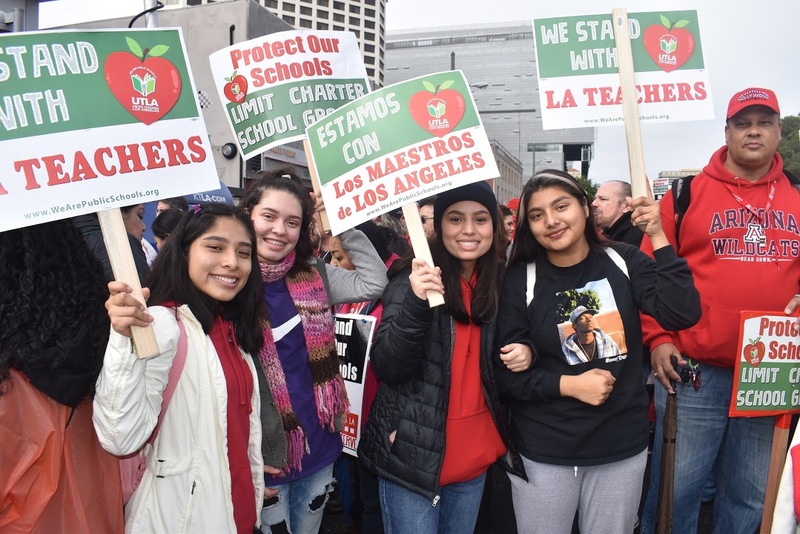 The teachers of LAUSD are part of a teacher’s union called UTLA (United Teachers of Los Angeles) and have been at odds with Austin Beutner, Superintendent of LAUSD, for a while now. The strike started Monday, Jan. 14 and students were not sure what was going to happen at their schools without teachers around. “But it’s to the point where something has to be done, something on a larger scale had to be done, so that’s why we’re here,” said Johnny Wood, history teacher. Demands that have been requested and are being negotiated include smaller class sizes, a pay raise, more consistent and permanent staff including nurses and librarians, and use of the district reserve money to meet these demands. “It’s a really hard decision for most people. Most teachers don’t want to leave their students in their classroom, but when it gets to a point where they’re not listening to us and they’re not offering reasonable solutions; it’s the last option that we have,” said Jill Gluck, 33, adult night school teacher. When looking at it from the outside, teachers and students and supporters standing on those picket lines look proud to fight for what they stand for and are smiling proudly even while in drenched coats and sweaters, but there is worry underneath about the stability of the education system of Los Angeles Unified. As for Beutner, he is new to education. Beutner was hired as the new superintendent of schools of the second largest school district in the nation on May 1, 2018. Beutner has an economics degree from Dartmouth College. He became a successful investment banker. Beutner has also became the CEO of the Los Angeles Times and San Diego Tribune. According to Beutner, only a third of some 600,000 students attended school the first day of the strike and cost the district $25 million. The fewer students show up, the less money is brought in for the district. Students have taken a step to support their teachers by standing alongside them and not coming to school. Parents are even deciding not to send their students to school knowing that only minimal staff will be there to watch their children. Teachers see this as a sign of solidarity and shows that they will not stand for the lack of attention towards educators.